thought this day would never come! 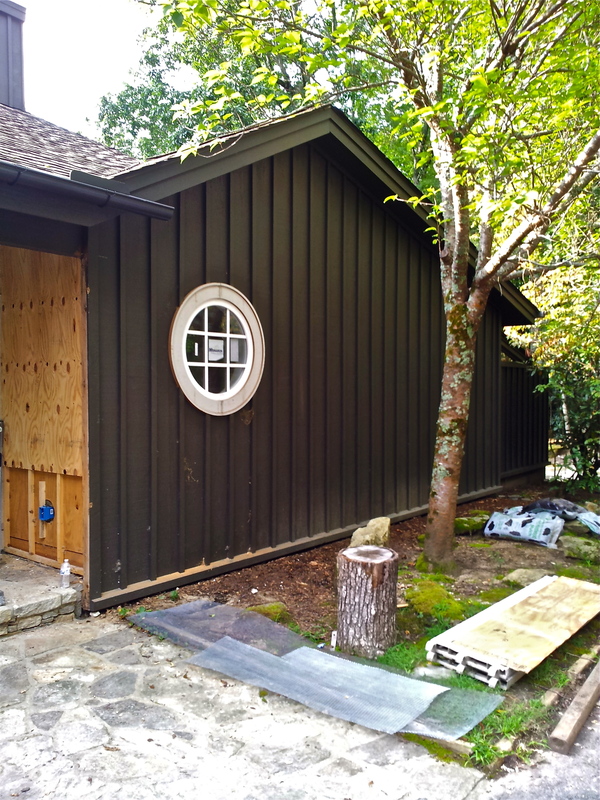 Almost all of the new doors and windows have been installed. I love the new 12′ door overlooking the back deck, it takes the place of the sliding glass door and the angular ‘faux’ fireplace–gorgeous. 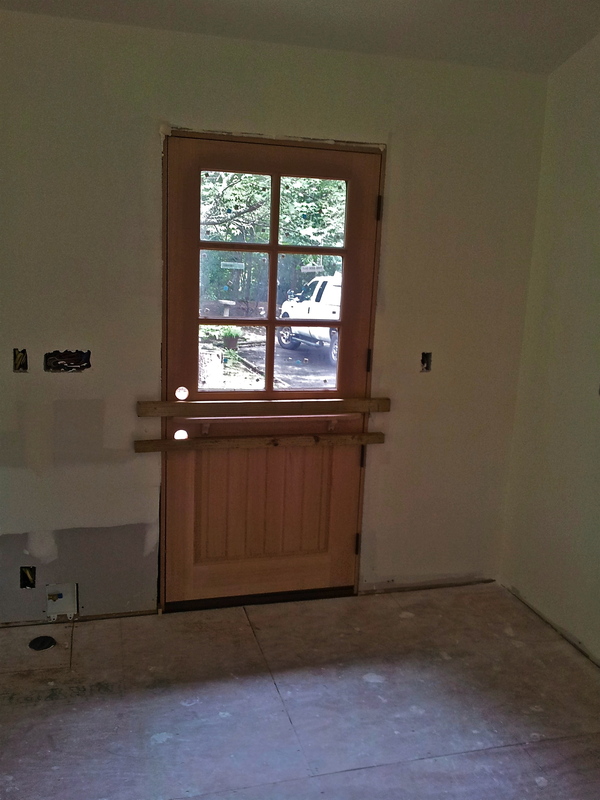 The new back entry door and the front door are both Dutch doors–so charming. 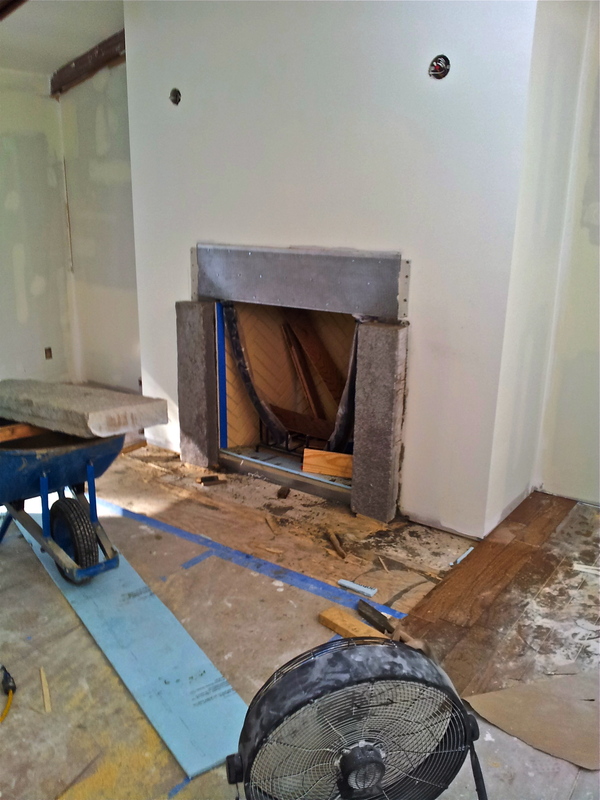 The new larger rebuilt fireplace is going in and the rock surround is almost ready for it’s new mantle–yet to be decided. 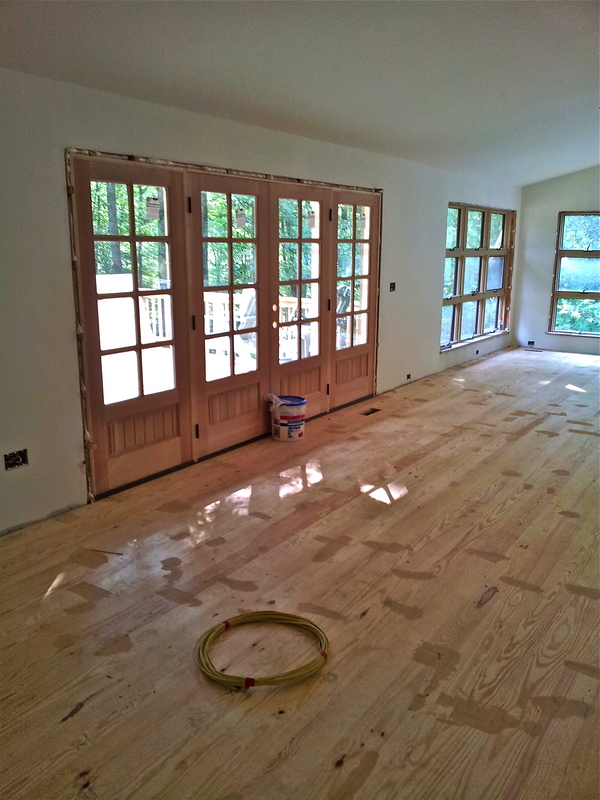 Take a peek at these pictures sent to me by the’ Talented Mr. Hawkins’ of the renovation progress. I have not been able to make it up for two weeks and the suspense is killing me. College son headed back to school in North Carolina today so I will be leaving ASAP for the mountains. More updates soon.